A smart traveler is an informed traveler. September is the Passport Awareness Month and we, at Travefy, are contributing the best we can. This week, let’s focus on what you should have on your travel safety checklist when planning a trip abroad. It involves, warning sources, emergency contacts, and more. On the top of your travel safety checklist, you should have travel advisories. They include travel alerts, warnings, and safety guides on your destination. The Department of State’s travel page is a good source to start gathering information. Other countries like Canada, UK, and New Zealand offer the same service for their citizens. The Independent Traveler has a comprehensive guide to understanding travel advisories. Because, like they note, a government warning does not always mean that you should not plan a trip anyway. You just have to be extra careful. What you don’t know can’t hurt you. Right? Well, when it comes to legislation worldwide, that is just not true. No one should ignore the law. You should include in your travel safety checklist, a research on dress code, tipping and interactions between genders. The local welcome you receive depends on how well you follow certain unspoken rules. Don’t overlook this step! Some passports are more valuable than others in that they grant access to more countries without visa. Regardless of the value of your passport, keep in mind that you will need to secure some travel documents. They range from renewed passport to immunization records. Also remember that children must travel with their own valid papers. 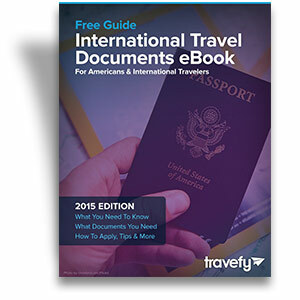 If you haven’t traveled abroad in a while be sure to check out this resource for the newest travel regulations. On your traveler’s safety checklist, add a reminder for yourself to back up important documents. Visa, passport, credit card information, reservations, etc. Make a copy of these important travel documents and keep them secured at all time. Invest in a travel pouch to always have them concealed on you. If you are traveling with your smartphone, you could keep digital backups of such documents. While this might be convenient, it shouldn’t be your only option, in case you lose the phone or can’t access internet. We mentioned the body pouch. Add to it the different type of travel wallets and the secured travel payment options. Before you travel, check and understand exchange rates, traveler checks, and credit card options. You should refer to this article for more details on financial travel tips that will keep you and your money safe abroad. How likely is it that you would forget your prescriptions or run out of them while you are abroad? You should research pharmacies, clinics and hospitals in your destination. Some countries require vaccination documentation or health insurance. The Center for Disease Control and the World Health Organization provide comprehensive health tips and requirements. If your travel safety checklist does not include emergency contacts, it is worthless. To start, you should research all your country’s official representations in your destination. That means having the contact information of the nearest embassies and consulates. Consider sharing your travel plans with them: itineraries and duration of stay. Not only will you feel safer during your trip, your family will also be able to join you in case of emergency. For more information on travel related resources you can access online, check out this post. It has the top government website where you are sure to find relevant up-to-date travel information. What do you think of the 7 items we mentioned in this article? Which one would you add to it? We want to hear from you in the comment box below.